Sometimes repetition works. It’s brilliant for children’s stories. Sometimes – particularly in politics – reinforcement is needed for messages to penetrate. Sometimes audience boredom blunts the impact. But then, amazingly, the message arrives on a different train – a fresh perspective – and the audience is shaken from slumber. That is why this Social Mobility report is required reading. I have lost track of the number of times I’ve written of the UK’s economic diversity and the inadequacy of over-centralised policy responses. Despite the daily evidence the march of the macros remains the average response. Teasing apart the policy knots (treating causes rather than symptoms) does not come easily to the average big number addict. 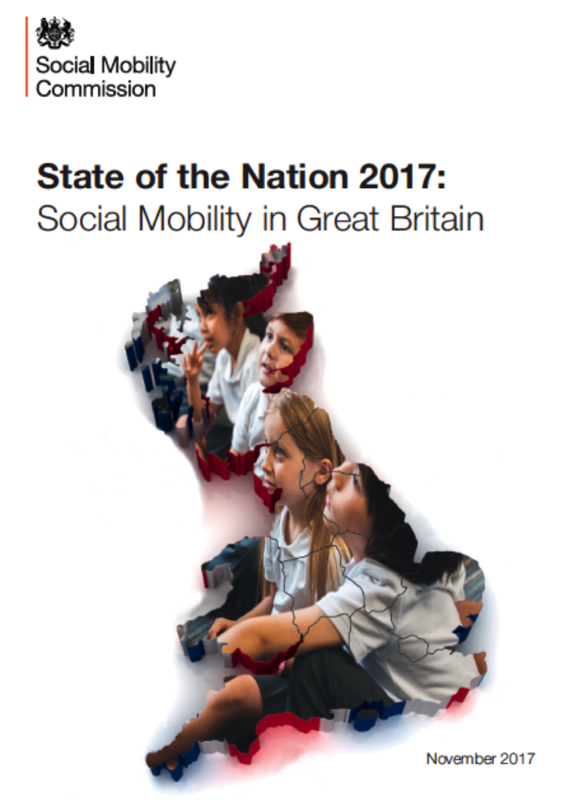 At the heart of the Social Mobility Commission’s report the challenge of reconciling the National with the Local is exposed. Umpteen flavours of economic and demographic analysis may have said all this before but now . . .
‘There is enough evidence from around the world, in our country’s own history and, contemporaneously, in local areas to know that, with the right approach, the transmission of disadvantage from one generation to the next can be broken. Despite the pleas for consistency – the outrage against ‘postcode lotteries’ – there is also recognition of the need for local leaders ‘to attune their policies and priorities to the needs of their local communities’. That required flexibility is certainly not lost on the recently appointed Metro Mayors and has been a consistent refrain from many city leaders. But after years of denigration (and austerity budgets) Local Governments have lost much of their authority. It’s a rare and brave soul who has leadership strength to develop local economic and community development policies that really meet the needs of their people. And yet, despite constraints (real or imagined), it does happen. The report cites evidence of places where fortune has changed through dint of local effort. But the report also highlights how those flashes of brilliance are rarely shared. Perhaps more than the myriad metrics around economic performance and evolving demographics, this Social Mobility study underscores that need for local collaboration and inspired leadership. This is precisely the agenda planned for a unique 3-day conference in June 2018. ‘Intelligent Communities’ are places that may have the benefit of smart technology and future-proofed infrastructure, but they also prosper under the guidance of gifted local leadership. This is not new – they’ve been studied in depth by the Intelligent Community Forum for the best part of two decades. Next June such places from around the world will send their delegates to meet and mingle with local leaders from the UK, share their ideas and successes, form new bonds, learn of new opportunities and celebrate their delight in a renaissance of the places they call ‘home’.